Metropolitan Tower | Cary Kopczynski & Company, Inc. 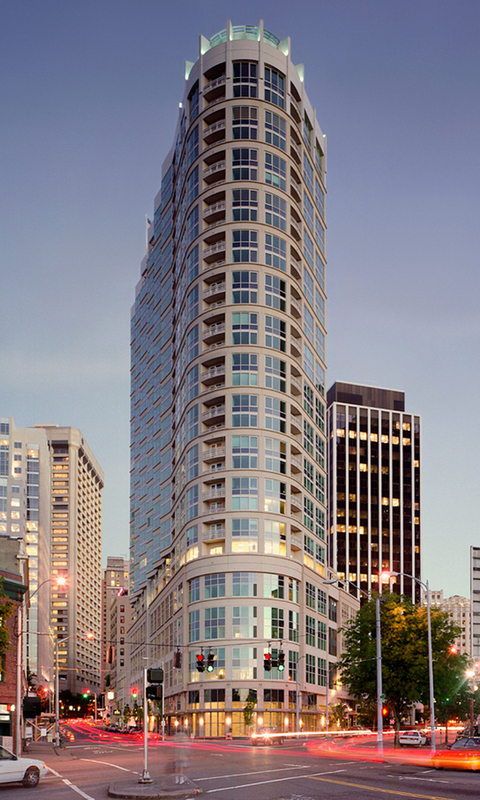 This 31-story award-winning building includes a 24-story apartment tower over a seven-story parking structure. At the top of the parking podium is an amenities level featuring an outdoor recreation area, indoor swimming pool, spa, exercise room, party room and private theater. The structure is cast-in-place concrete with hybrid concrete floor slabs. The lateral-load-resisting-system combines shear walls with a special ductile frame. Among the many structural challenges was the foundation design. A soil/structure interaction analysis performed in conjunction with the geotechnical engineer resulted in a variable thickness mat footing extending over the full site. The top of the mat serves as the lowest parking surface. The Washington Aggregates and Concrete Association awarded the project first place in its annual competition for excellence in design, engineering and construction.